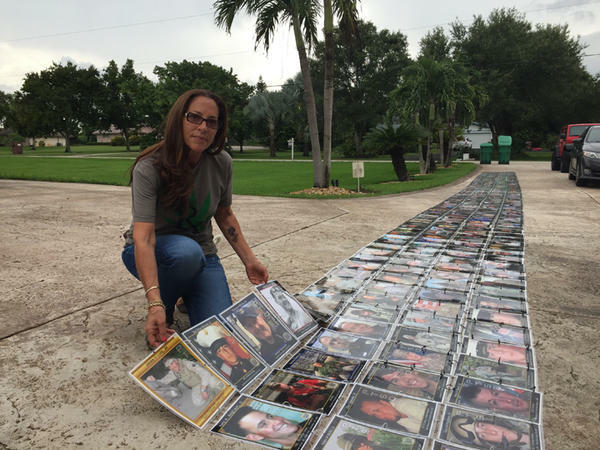 Janine Lutz in front of her Memorial Wall, which she built with photos of veterans who committed suicide. Families of the vets send photos to her through her Live To Tell foundation. “I mean, I'm talking mouth open, staring into space,” Claybaker said. “I can just take a couple of puffs sometimes. It just depends on the day and what's going on or how bad it is,” Claybaker said. In order to get the drug, though, he had to break the law. Even with medicinal marijuana legal in Florida, the federal government says it's a crime. Claybaker and other soldiers can't get a prescription from the VA and their insurance won't cover it. 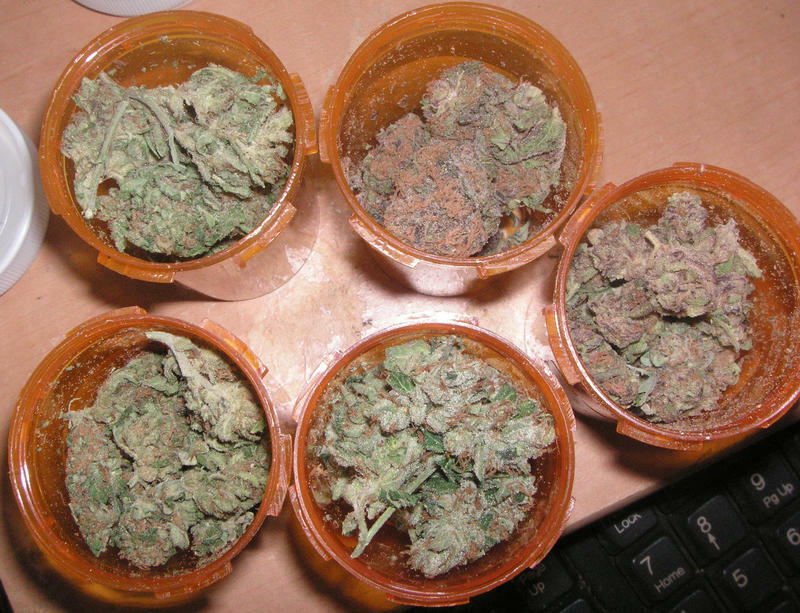 The out-of-pocket costs to buy a month’s supply from a dispensary can be upwards of $500. Claybaker was among more than a dozen veterans recently profiled in a 20-page report by the Sarasota Herald-Tribune. They’re all pushing the federal government to reclassify marijuana. They vets are using the drug to treat conditions ranging from pain to PTSD. But the report found the veterans face an uphill battle to change the rules so their VA doctors can prescribe it and their insurance will cover it. That's because marijuana is classified as a schedule 1 drug, which means it has no medical value. The classification, along with the its federal illegal status, means there hasn't been a lot of medical research on marijuana. “We're realizing that there's a lot of holes here in our knowledge,” said Ziva Cooper, an associate professor of clinical neurobiology at Columbia University Medical Center. Last year, Cooper and other researchers published a study that evaluated 10,000 scientific papers in which marijuana was referenced. 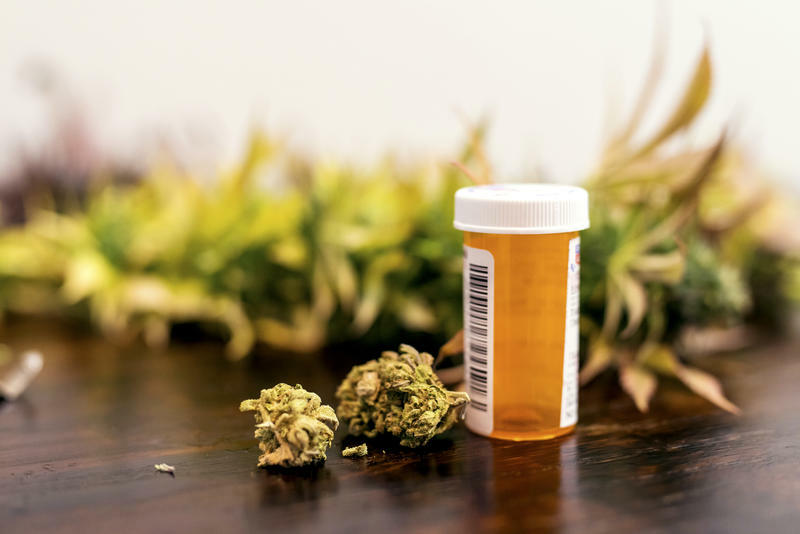 They found substantial evidence that chronic pain can be reduced by marijuana and substances, known as cannabinoids, that are found in it, including widely sold products like CBD. Janine Lutz thinks marijuana could have saved her son. 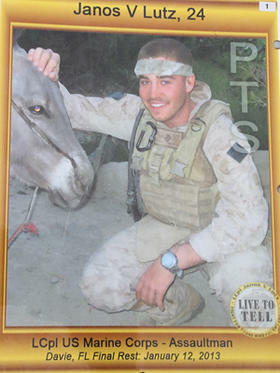 John Lutz died from suicide after serving as a Lance Corporal in the Marines in Iraq and Afghanistan. In 2013, doctors at the VA prescribed an anti-anxiety medication for his PTSD, despite a note in his records that it had led to a previous suicide attempt. His mom says he was dead within a week. 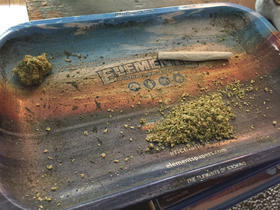 It was at those events that she learned how many veterans self-medicate with marijuana. Lutz says the government needs to act. “Stop playing games with the lives of America's sons and daughters and if they want cannabis, give it to them and stop giving them these psychotropic dangerous drugs that are destroying their bodies and their minds,” Lutz said. 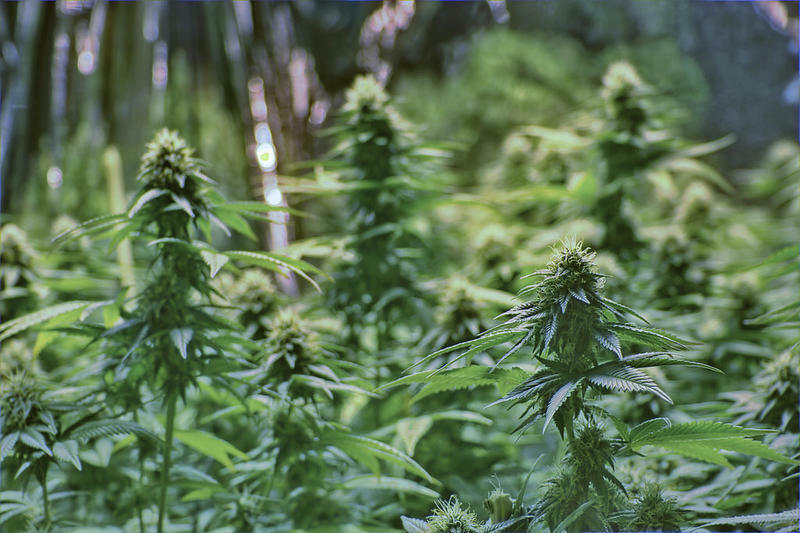 The American Legion polled its 2 million membersand found that 92 percent favored marijuana research and 81 percent support federal legalization. Pointing in part to smoking-related health effects, Attorney General Pam Bondi’s office on Friday filed a 57-page brief arguing that an appeals court should uphold a decision by the Legislature to ban smoking medical marijuana.